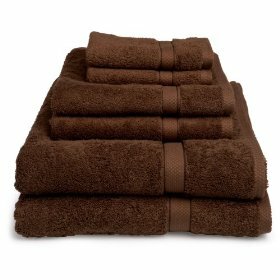 There are a wide variety of reviews about the Pike Street 100% Egyptian Cotton 725-Gram 6-Piece Towel Set which is available at several outlets across the web, but the best price is on Amazon.com. Even though there were so many comments regarding the quality and the color running when the towels were washed, the product merited an average of 4 stars overall. These towels are one that consumers either really like or greatly disliked. The same thread ran through the complaints posted on several reviews. 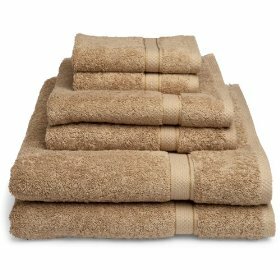 Of the 223 customers who reviewed the towels, 109 gave them a five star rating, finding the towels to be soft, fluffy, and absorbent. The other 114 customers were disappointed in the quality stating that the towels were not as soft as they expected Egyptian cotton to be, and they did not absorb the water as quickly as desired. Some found the towels to be too absorbent, and said that the towels needed repeated drying before they were ready for another use. The color of the towels also raised many comments. Depending on the shade chosen, some customers found that the shade exactly matched the picture, while others said it was noticeably different than expected. Furthermore, some people washed the towels before use as instructed, and had significant stains and color blotches on their towels, leading to questions about the quality of dye used. Many people also found that the hemline on these towels quickly frayed after one use. This gives the towels an old, tattered appearance quickly, and makes them unsuitable for use as guest towels. Caution is advised to those deciding to purchase these towels based on the negative reviews. However, there were plenty of positive comments from customers who reported no problems. So I guess what it comes down to is if you can pick the towels up for a reasonable price, you may be one of the customers who is pleasantly surprised and happy with the product. If not you can always return them.